Going through a divorce requires you to change and grow in ways you may not always be prepared for. If you have spent part of your marriage as a stay-at-home parent or let your own career stagnate in favor of supporting your spouse’s goals, you likely have concerns about your ability to make a living and how you will support yourself while meeting your monthly obligations. Getting an order for alimony in Florida can be a significant step in establishing your independence. 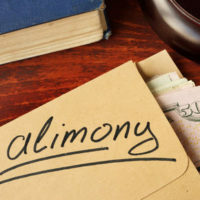 In addition to the length of your marriage and your financial situation, there are a variety of factors that the court considers in making an alimony award, as well as different types of alimony depending on your situation. Your current responsibilities concerning children: While the court is in favor of shared parenting plans, having a greater portion of this responsibility that interferes with your ability to work could justify an alimony award. Permanent, generally awarded in long marriages to maintain standard of living. In considering your rights to alimony, it is important to realize that adultery will make you ineligible to receive, and any amount you do receive will need to be reported to the Internal Revenue Service on your yearly tax return. If you are considering a divorce and have questions about alimony, contact the Vanessa L. Prieto Law Offices, LLC today. We can advise you on your rights, and assist in building a strong case in your favor.